June 13, 2013 was a pivotal point in the journey with Dovi. But it turned out to be merely a passing storm. Sure, I was rattled and unsettled and in turmoil, by the realization that placing Dovi was not a far-off dream, but a closer reality. But like most storms, the water eventually receded, and the rickety vessel resumed its cumbersome, weary trek down the unknown seas. Which left me, the captain steering the ship, rather seasick and green around the gills. And there was debris all over the ship's deck to clean up. I did a lot of soul searching that afternoon and evening. I discussed the situation with many people - my mother, my friends, my husband. My mother was filled with sympathy. My friends were filled with empathy. My husband was a completely different story; he had trouble understanding what I was so upset about. He was ready to place Dovi right then and there. It's no secret than men are from Mars and women are from Venus, so to speak. Women filter everything through their emotions. Men think with logic. My husband explained to me very simply why he felt the way he did, and on paper, it all made sense. Our house was always a wreck; I was always a wreck; I let Dovi get away with everything; we couldn't focus on Chaim's needs; We had no life; and so on and so forth. But missing from the equation was the emotional counterarguments, which were endless. Dovi is a little kid; he belongs with his family. There are no Jewish places taking such young kids. If he gets placed, a big part of my identity will dissolve, and I will be left figuring out who I am. Etcetra etcetra. Both sides had equally valid arguments. But his attitude was killing me. I may have mentioned in another post that my husband's relationship with Dovi completely changed and blossomed the last 2-3 years he was home, and the 2 of them have a deeply loving relationship that I cannot compete with. Dovi's face lights up in ways I can't describe when my husband visits. He obeyed him in ways he never obeyed me. My husband's ability to put his feelings aside and keep firm boundaries and discipline was impossible for me; I often sabotaged his efforts because of my maternal insecurities. But at that time, his relationship with Dovi was weak. And honestly, so was mine. We were still struggling to figure out how to balance all the different facets of parenting Dovi, and it was very difficult to have a positive relationship with him. He was also much lower functioning at the time and he didn't express any reciprocal positive feelings, so everything around Dovi was just one big ball of stress. Tonight is the first night of Chanukah. As we lit the Chanukah candles, my thoughts were with Dovi. It has taken close to a year of work to push the guilt feelings aside and actually enjoy the moment. This night was filled with memories of a year ago, Dovi's last Chanukah at home with us. We had just received the news that Dovi was accepted at the residential school, and he would be moving out in approximately six weeks. Our emotions over Chanukah were mixed, to put it mildly. I think I spent the next six weeks with a perpetual lump in my throat. I think today was a very appropriate day to sit down and reflect on that pivotal day when I moved into a new phase of my life - June 13, 2013, the day that Residential Placement inched its way slowly from the back burner to the middle burner. Before I begin, I want to thank the devoted readers of this blog who have hung in until now. I apologize for taking such long stretches between writing chapters of this long-drawn out story. Between struggling to keep up with my Ebay/Poshmark "business," dealing with real life issues, and bracing myself for delving into the dark time that was 4 1/2 years ago, it takes a lot out of me to write these entries. So thank you for cooperation. In any case, here's the pinnacle, the climax, the apex, what have you, of all the events leading up to the catclysmic moment when the world around me changed, forever. The moment when the niggling thought of 'one day we'll have to place Dovi but not yet' came into very sharp focus. It would take another 3 1/2 years until he would actually leave home, but it was the defining moment when I realized that it was a definite reality. The weeks leading up to the summer of 2013 were extremely difficult, to put it mildly. I was dealing with the effects of a third trimester of pregnancy at age almost-37. Everything hurt, and I had no energy. I was constantly busy with an overwhelming amount of research and advocacy and paperwork and scheduling caregivers. All kinds of crazy incidents happened then, such as the blow-up with Leticia, worrying about finding places for Dovi when I went into labor, getting his camp stuff set up, and most difficult of all - handling his newfound obsession for ripping paper. The underlying reason for the vast majority of Dovi's destructive behavior has always been intense sensory seeking. Whether it's ripping open endless oatmeal packets, jumping in and out of the bathtub, spilling water and liquids, smearing ice cream on walls - it's all to get sensory input he desperately craves. Sometimes I was successful in redirecting his need for sensory input, after endless brainstorming and shopping and trial and error. Most of the time, I wasn't. Then Dovi discovered ripping paper. Apparently he was taught how to rip paper during Occupational Therapy at TABAC, and it delighted him to no end. Suddenly, no sheet of paper in any shape or form was ever safe. We had to hide all forms of paperwork, magazines, newspapers, and books. Fortunately I don't have any daughters whose homework would inevitably have gotten destroyed. But magazines were a big casualty. It was difficult to remember every single second of the day to hide all papers in the house. When I realized that this meshigoss wasn't going away anytime soon, I started supplying him with all manner of scrap paper to go to town with - old newspapers, a package of construction paper, ad booklets. We had our own built-in paper shredder. All that left the house blanketed in paper - it looked like Ground Zero. Leticia did not approve, of course. One of the most amazing points of pride in the Jewish special needs universe is the existence of sleepaway summer camp for special needs kids. While the general population doesn't usually go to sleepaway camp before age 11 or so, when it comes to special needs, many parents look forward to their child turning five years old so he or she can go to camp. The main attraction for sending a child to camp is, of course, to get a much-needed break; often, the child's family goes away for the summer and there's no educational framework for the child to attend. But aside from the breather the family gets from the overwhelming burden of caring for said child, summer camp provides an opportune environment for every child to grow and blossom in ways they can't during the academic school year in a cramped city apartment. This applies even more to special needs children, especially with sensory processing disorders. When Dovi was 2 and initially started Early Intervention, his therapists remarked that he did a lot better outdoors than when he was forced to sit in a room. Back home in the city he loved running outside, and there was very little opportunity to do so in a safe way. The following two summers, as you read here, were incredibly difficult. It was very hard to chase after Dovi all day in the country, even with help, and I knew that I could simply not do it again; unless Dovi would go to summer camp, my family's summers up in the country were history. And it hurt to even consider it; Dovi thrived so much upstate with the open expanse of grass and trees with access to playgrounds, swimming, and sensory opportunities everywhere. I knew that I had to find a way to get Dovi into camp. I had known that being pregnant at age 36 would be more difficult than the ones when I was 28 and 31, but I had no idea just how difficult. I was exhausted - all.the.time. I spent most of the day sleeping. I had no appetite, and little energy. Being off my ADHD meds made things worse. I was prone to anxiety and every little thing sent me into a tailspin. Especially once Dovi had his burn incident and the subsequent social services snafu, I stopped trusting my parenting. If he had the slightest hint of a scratch or a cough, I became hysterical and made a doctor's appointment immediately. The problem was, I didn't feel physically up to taking him to the doctor anymore, so the onus always fell on my husband. In addition, Dovi's incessant need for sensory input and an endless craving for food - mostly ice cream - worsened the ever-present mess in the house. Shabbos was the hardest. I had no full-time aide at the time -- a fact that still boggles my mind -- and I had no one to turn on his dvd player, blow bubbles for him, or do the many other things that kept him busy and out of trouble. Just a boring post. Nothing to see here. When I picked my own jaw off the floor, I was left with my head spinning. There was so much for me to do, chiefly find a new high-risk doctor to manage the pregnancy, as the one I had used during Chaim's and Dovi's no longer took my insurance. Lots of research later, I had an appointment in early January. Next came surviving until I took a blood test the next day and had the results. The numbers were good. Several days later I repeated the test, then a week later. Things seemed to be going well. I held my breath. At the six-week mark, the ultrasound showed a nice, strong heartbeat. I took leave from the infertility specialist. It would be four long weeks until my new insurance would kick in, and with my long history of miscarriage I was really nervous. But I had strong faith that it would all go well. However, having to go off my ADHD meds AND dealing with Dovi day-to-day made things very stressful. I was having a hard time coping. I was also on a very high dose of progesterone, which made me very sleepy. To top it all off, Dovi wasn't doing very well on the Ritalin. As I had suspected and predicted, it was making his sensory processing disorder worse. He became a bit more aggressive, biting staff and throwing things. Meantime I went with Dovi and one of his ABA therapists, Alice, to see an incredible school for Dovi (please do not donate to the Dovi education fund - it no longer exists!). Alice kept remarking snarkily on how much worse he was doing on the Ritalin; it was driving me crazy. Alice apparently is a health nut and all that; but I was flummoxed how she expected me to be able to manage his behavior without any medication. I was blown away by how amazing the school was, and began to frantically scrabble around to find a way to raise money to pay for it. It was a stressful time. My immediate apologies to my avid fans who are waiting with bated breath for the next installment of the Dovi saga. I know you are going to be acutely disappointed when opening your inboxes tomorrow morning and finding this post instead. Don't worry, the next chapter will come in due time. However, this post is important to me. I have started to declutter the house and am finding new homes for many of Dovi's specialty items that he no longer uses. The LittleKeeperSleeper pajamas... the oversized size 7 snap onesies... leftover diapers... slowly but surely all the specialty products I had painstakingly researched and purchased over many years are being dispatched to new owners. It's like I'm unraveling and undoing six years of my life. It feels bizarre. Back in the day I bought all sorts of sensory aids for Dovi, desperate to find the magic combination of deep pressure and sensory solutions to calm the persistent hyperactivity and proprioceptive confusion. Unfortunately Dovi really didn't care for most of the products. They were really costly. The Abiliblanket cost $175. The SPIO garment cost $130. The Southpaw vest, $75.00. and so forth. These things have been sitting in a box in the back of a closet, waiting for me to have a few extra minutes to list them on ebay. It took a few years, but I finally listed them. I am posting the link here in case someone googling any of these terms come across this blog entry and still finds the item up for sale on ebay. Thank you, and good luck! I will be back in a couple of days with the next chapter. Writing that last post took a lot out of me. It was like baring my soul to the world and admitting that I failed. 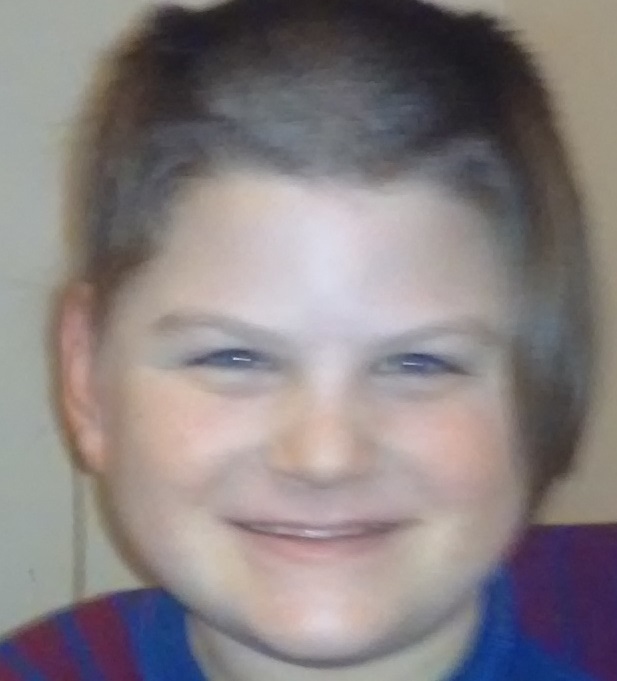 I can no longer handle my severely autistic child and had no choice but to place him in a residential facility. In reality, there's MUCH more to discuss and dissect before such a statement can even be made. There's the years of build up and exhaustion and the toll a child like this takes on the family. And believe me, the decision was not made lightly, and not without a fight from me - a lot of fight. I did not feel ready to take this momentous step until a year ago when Dovi's level of aggression and the incredible strain his presence was having on every member of my family - my husband, me, and our other two boys - became unbearable. Even then, the amount of tears I shed, the number of nights I could not sleep, and the enormous amount of inner work I had to do to process oodles grief and guilt, would fill a book. I was hoping that once Dovi was settled in and I knew he was happy, I'd feel better too. But it took two weeks for the initial depression to pass. I felt like a limb had been amputated. I couldn't do anything those first two weeks. My family was blossoming, Dovi was doing great at his new place, but I was doing terribly. My heart was waging a war with my brain. Even though my brain knew that we had done the right thing for everyone involved, my heart just couldn't let go. Thankfully, I've gotten used to our new normal, and I will be visiting Dovi finally this week, so I'm feeling a lot better. You're surely wondering why I woke up suddenly and am blogging again. Three years ago when this blog was at its height of popularity, it attracted all kind of readers. Some were other parents of severely autistic children, some were my friends via other online means, and some were random web surfers. The most surprising reader, delightfully, was the editor of a popular weekly magazine which I read faithfully and am a huge fan of (and have written for here and there). The editor was very moved by one of the blog entries and wanted to adapt it for the magazine. I declined, telling her that one day, down the line, I'll want to publish my story in one of the magazines, and I want to do it right - not in a hodgepodge smattering of random articles. Since then I was approached several times by different magazines, including the same one, about publishing a mini series about raising Dovi. But I had the same answer every time: The time is not yet right. There is no turning point in the story; no conclusion. Dovi hasn't had a miraculous 'cure' or anything. There's no point to writing a series of gut-wrenching articles about how difficult it is to raise a child like Dovi. I'm not going to sugarcoat it; I'm not one of those 'rainbows-and-unicorn' moms who love and embrace this brand of severe autism and go all goo-goo-gaga about how I wouldn't change anything. (Newsflash: I don't know ONE mom of a severely autistic child who thinks that way. The rainbows-and-unicorn crowd live with the high functioning population. But more on that later.) So what would be the point of writing about it? There had to be a huge conclusion, a turning point that will make a mini-series worth writing. Well, it took a few years, and there has been a big change in Dovi's life story. Not the kind of change I would have envisioned four years ago when I started writing this blog. It's a bittersweet kind of turning point. If you know me in real life, or even in virtual life, you know what's going on right now. (If you don't know me anywhere off this blog, be assured that everyone is health and well, no need to worry. All will become clear very soon.) So now there is a reason to revive this blog, because finally, there is more story to tell, and there's a cohesive, sequential order to telling the story. I think the story is important, because there are scores of autism parents walking in my shoes, and I think it'll be beneficial to have have their voices heard through Dovi's story. It'll also be boundlessly therapeutic to explore and relive the past few insanely difficult years and put everything into perspective. Also, please take a minute every time you visit the blog, to check out the ads crowding the perimeter of this site, to see if any of those stores/sales interest you. I can't have google ads on the blog, which is usually the primary moneymaker of any blog, because they inexplicably closed my account a long time ago and are refusing to reopen it or give any kind of explanation. So at least try to see if any of the stores I'm an affilliate with, are things you can use. The blog will undergo a facelift in the next while so that it reflects the recent changes and is more pleasing to the eye. And then very soon, I will resume the tale of Dovi's life. You'll have to hold on to your seat belts, because it's quite the wild ride. Well, Ladies and Gents, *SOMEONE* has been pulling strings for me, because I HAVE MY FACBOOK ACCOUNT BACK!!! I don't know HOW it happened; because this is the 20th time I tried once again to reinstate my account, and I was always met by a brick wall or by some bot that never replied to me. But B"H this time I did reach some real humans with compassion, and I am still speechless with shock that I am able to get my memories back. 20 precious months of memories t hat I thought I would never have access to again. I'm glad I never gave up, and I'm grateful to God and any human intervention that made it possible. Now the possibilities are exciting and infinite; I might just start sprucing up this blog again and think of resuming to write. It'll take a few weeks but exciting things are in plan. Stay tuned.